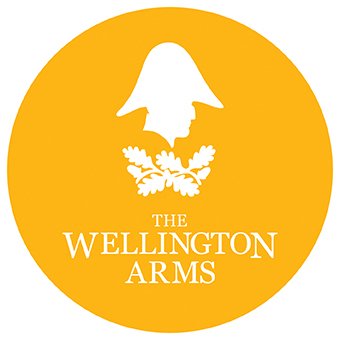 The Wellington Arms in Hampshire is a family-friendly pub, offering the perfect combination of a traditional English pub, combined with relaxed, modern design. Open 7 days a week, the perfect location for catching up with friends over a G&T (or two! ), enjoying delicious food to celebrate a special occasion with loved ones or a place to recharge after a long walk around the Wellington Country Park. Service and food were good, atmosphere and decor a bit bland. For a new restaurant it  seems a bit main stream could have been in a harvester! Good food, good service, very good access for those with restricted mobility. Crisp vegetables were not quite what an older member of our party was used to! service was slow and the salmon was a bit tasteless and should have come with a Bearnaise, but there was hardly any on the plate. Our friends enjoyed the sausages, but mine was a bit disappointing. I never knew before the refurb as new to the area. Overall it will certainly become our "local" A's love the decor, service, outdoor area, food... everything is of a very good standard, so happy to recommend. More chips would have got 5 stars on value for money... the food is excellent, quality over quantity and all that but I feel larger chip pots would be better! We had a lovely evening and will definitely be back. We did however find the menu a little bit limited and did not understand why the Specials board had items on it that were already on the menu!!! However I would recommend to friends and family and would like to say what excellent service we received. It is a lovely place to eat but this time I was disappointed with my meal. On the menu it said sea bass fillet crushed potatoes creamed spinach crayfish tails. Instead it was the potatoes and sea bass etc floating in a bowlful of very creamy sauce which was far too rich for me. I was expecting creamed spinach as the vegetable. No mention was made of a sauce. I explained to the waitress that I had found it too rich to eat. Love the new look and the staff are very welcoming. Service was a little slow and the food was a tad on the expensive side and not as good as a previous visit unfortunately. Consequently, not sure I'll hurry back to the restaurant, although I will definitely enjoy some drinks alfresco in the summer. Great food and attentive staff will be booking again soon. Great friendly service, good food. Had a lovely lunch on Saturday, staff are very attentive but not over the top. Food was delicious and not too expensive. My family and I had a lovely meal, very good service in great surroundings. Also the guests on the tables either side of us were obviously equally happy with their experience too, which added to the atmosphere. We were impressed with the standard of the renovation that has been carried out, having passed the location while the work was ongoing. The chicken & bacon sandwich was disappointing. The ratio of filling to bread was wrong ie there wasn’t enough filling and a token amount of rocket leaves. Could do with a salad garnish. The cup of soup was tepid. I asked for it to be warmed up and when it was it was delicious. Lovely food and atmosphere and staff very attentive! Had a lovely lunch with old friends. Food was delicious, staff friendly and nice décor. Stayed chatting for ages but no pressure to hurry us up. Very enjoyable lunch, goof food reasonable prices. So pleased with our meal at the Wellington Arms. The service was brilliant, great ambience as soon as you entered. The meal was delicious and great value for money. This was my first visit and am looking to book another reservation shortly. Fantastic. Food was brilliant. Staff were very friendly. Great location for a family lunch or party. Very limited menu and extortionate prices. Such a shame as the venue itself is lovely. But for price and good quality the price is unreasonable. Quite expensive for what you get.